So sorry that I’m late. 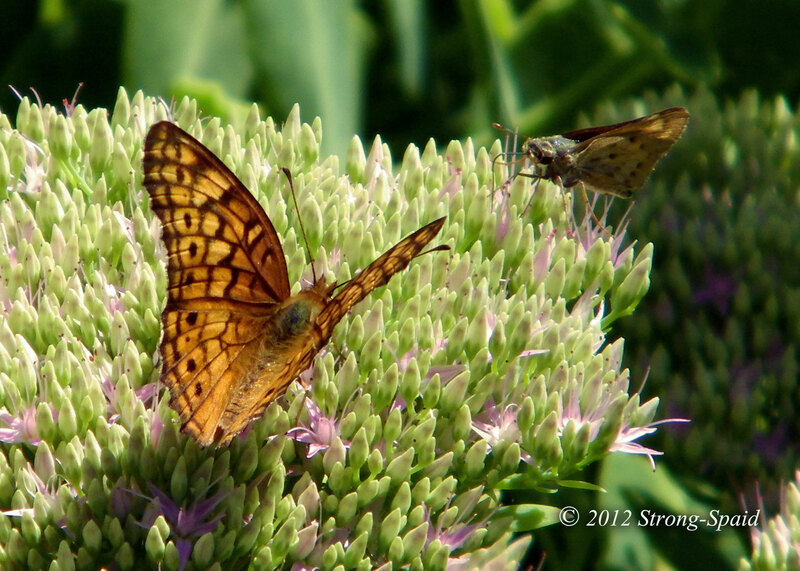 This entry was posted in Humor, Nature, Photo Essay, photography, Poetry and tagged butterfly, communication, wildlife. Bookmark the permalink. Another butterfly apology in order. I put my response in the wrong reply box, so you didn’t get it. Truly, I am directionally challenged. with all of your power. It could have be love colliding amidst the flowers, but it also could have been just another boring Monday morning meeting–that they were both required to attend. Love this! Hope you have a happy Easter! Yes. That’s because you know the butterfly. I will stay far, far away from I-95 today. You should have seen it yesterday. TRAFFIC. It was like a parking lot of cars as far as I could see, filled with Easter weekend travelers. While I was writing the poem about the butterfly, I thought about your dad. Such a kind man, he was. “Most of the time, it seems that I do. I think I was born without a sense of direction,” I replied. He thought for a moment or so, and then he suggested that I start shooting off flares and rockets so people can find me. I told him that would not be a good idea around here. Thanks so much for liking my post Animal Drawings, which has brought me here to your wonderful blog. Your animal drawings are very detailed. I think they are great! Poor tired butterfly, easily confused! Unless I’m mistaken, a beautiful Variegated Fritillary on an even more lovely flower! I did not know the name of these two ‘brown’ butterflies, so thanks for letting me know. I just looked up Variegated Fritillary and the photo examples are similar. Thank you….I am sure there are some fairies hiding in this scene somewhere! Perhaps if I would have looked beneath the cool green leaves, I would have seen them playing. (I did look at your blog— I love your beautiful fairy artwork)! I’m sure there were some fairies hiding there too it’s a very enchanting picture ! Thank you so much Mary !! I’m happy you like my work ! !